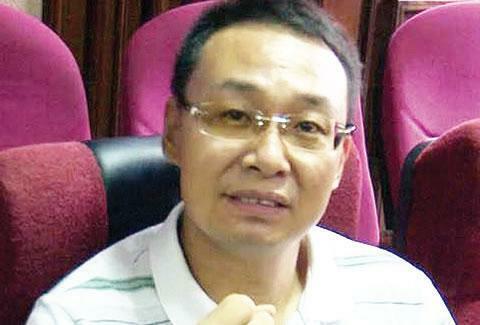 The Economic and Financial Crimes Commission has arraigned a Chinese national, Li Yanping, before Justice Babatunde Quadri of a Federal High Court, Abuja, for allegedly concealing the sum of $300,000 (N108m) while attempting to board a flight to Dubai. The EFCC said in a statement that Yanping failed to inform officers of the Nigerian Customs Service as required by Section 2 (3) of the Money Laundering (Prohibition) Act, 2011 (as amended by Act No. 1 of 2012). The accused was arrested by the Presidential Task Force on Trans Border Cash Movement on March 15, 2018, for failure to disclose the said sum while attempting to board an Emirate flight, EK 8786 en route to Dubai. He was handed over to the EFCC for further investigation and possible prosecution. Following his plea, The Punch reports that counsel for the EFCC, Ene Emonye, asked the court to fix a date for trial and to remand the defendant in EFCC custody pending trial. Yanping’s counsel, Chinedu Eze, however, prayed the court to admit the defendant to bail. While moving the application brought under sections 35(1) and (4) and 36 (5) and (6) of the 1999 Constitution and sections 158, 162, 163 & 165 of the Administration of Criminal Justice Act, 2015, Eze urged the court to exercise its discretion in favour of his client by releasing him on bail pending trial. Justice Quadri granted the accused bail in the sum of N10m with two sureties in like sum. The sureties, according to him, must not be below salary grade level 12 in any of the federal ministries or parastatals, and must have traceable addresses. He added that the sureties must comply with bail bonds accompanied with their passports. “The defendant is to be remanded in the custody of the EFCC until the perfection of his bail conditions,” the judge said. The case was adjourned till April 17, 2018 for hearing.